I wanna hold you close But I never wanna feel ashamed. Swore upon the stars I’d keep you til a night less day. Goodness gracious I can’t seem to stop. Today’s topic is Creative Heroines. Do read to the end of this post for a full list of carnival participants. 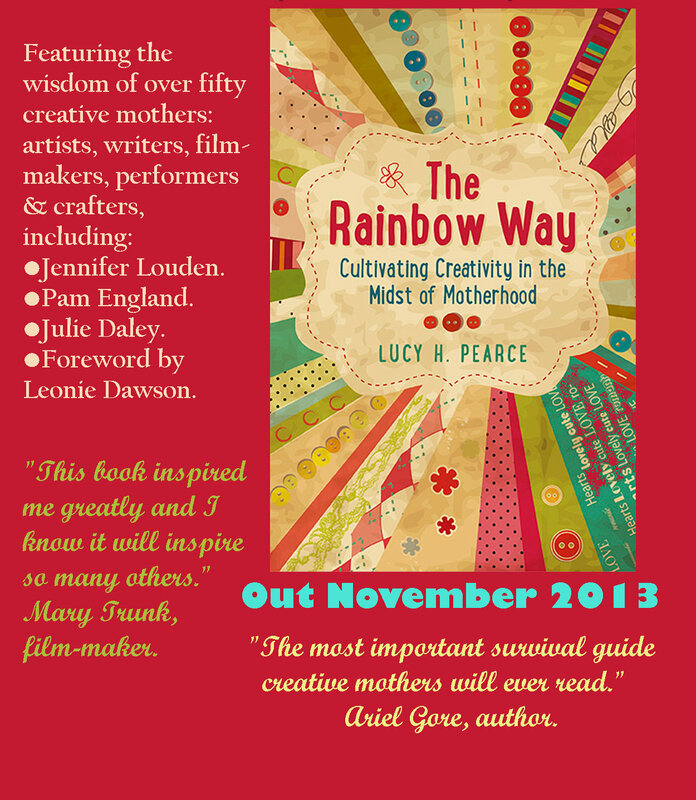 Join the Carnival and be in with a chance to win a free e-copy of The Rainbow Way! December 11th: The Creative Process. You know what, it’s 8:46 am Wednesday morning and at about 7:00 pm last night I had made the conscientiousness decision to not go through with starting or finishing the carnival. I had given up because I’d become so overwhelmed by everything that was going on this week. I felt so busy and emotionally tired that I decided “There’s no way I have time to put in the effort I want, and I know if I’m going to do this it has to be perfect”, which is one of my problems altogether in itself; always aiming for perfection, when perfection doesn’t really exist. Then something strange happened. I woke up at about 5 something this morning and saw that someone commented on a previous blog post I had written a few days ago–“The Other Side”–and it was from none other than Lucy Pearce herself reminding me that, yeah we all feel a little crazy sometimes and it’s completely normal. I think it might of been then that I told myself that I would start this and finish it just like I had intended. I never know where my creativeness is going to take me. Half the time it’s a mystery to me or a fleeting idea that I just barley miss grabbing a hold of. When I do, grasp it though, I take hold of it and embrace it. I let it take me where I never thought I’d go and find myself amazed that I could do something so–well–creative. Having such a gift of creativity leaves me feeling so eternally grateful because I know it’s something that’s fragile; that has to be nurtured and respected. I’m going to be late for work; I already know. It doesn’t seem to bother me, because more than anything, right now, in this moment I feel so amazingly exhilarated and proud of myself for choosing this. It’s not as perfect as I wanted it to be. Matter of fact, it’s not perfect at all. It’s frazzled, and jumbled thoughts that I just now put together in this post. I’m throwing it out there and hoping for the best. There’s a beauty in that; freeing yourself from constrictions and boundaries that we put there ourselves, and then tearing them down momentarily just to be in that moment. This creative journey that I’m on–well, don’t ask me where I’m going because I don’t know–it gives me these glimpses of how great I could be. It inspires me to do better than what I’ve done before, and it reminds me that the best part about all of it, is sharing it with every person I can reach out to; the world if I can. – a vibrant greetings card and book-mark of one of the author’s paintings. or order it from your local bookshop! Carnival host and author of The Rainbow Way, Lucy at Dreaming Aloud celebrates her creative fairy godmothers, and gives thanks for the creative blessings that each has gifted her. And on her other site, The Happy Womb, Lucy expresses her sadness at a lack of real-life female mentors and Wise Women in her life so far. Becky at Soul Sunshine shares the creativity heroines– her Saviors– who reactivated her creative heart after a near-20-year-hiatus. Lucy Pierce from Soulskin Musings explores the ways in which three artists have inspired her to follow the inner wild of her own creative narrative and it’s interface with the forces of nature and of Spirit. Kae at The Wilde Womb shares how she invokes her inner child when summoning creative juices. Zoie at TouchstoneZ reflects on the women who have inspired her most. Alex at The Art of Birth shares her Journey of a Creative Mama which is all about liberating the Feminine through Art. Laura at Authentic Parenting is grateful to those women who have inspired her. Who most inspires Georgie at Visual Toast? She’ll tell you here! Please come to the dinner party, invites Nicki at Just Like Play, where we will celebrate Judy Chicago, art, womanhood, and the creative kitchen table. Becky at Raising Loveliness shares her creative heroines. Dawn Collins at The Barefoot Home honors three artistic mothers in the post:her strong willed Nona, her free spirited mother and the best solo artist ever… Mother Earth. Angela at Peach Coglo looks to her grandma and granny as her creative heroines when the creative going gets tough. Jennifer at Let Your Soul Shine wears odd socks proudly! Biromums remember their biggest creative heroines. Darcel at The Mahogany Way shares who inspires her. Aimée at Creativeflutters discusses which artists influence her in her creative journey. Find out how she nourishes herself as a creative mother, and finds the time to help other moms on their journeys. Creativity is something that’s always meant the most to Jasmine at Brown Eyed Girl and she can’t wait to take the journey in identifying herself and supporting other moms with it as well. KatyStuff has a mother who allowed her to make mud pies while she knit or embroidered near by. Ali Baker is a creative mama to twin girls who reignited her creative energy and sense of who she used to be by just doing it and creating whatever needs to be created in an imperfect way. Liz at Reckless Knitting remembers her biggest inspirations. Milochka at Art Play Day shares her creative heroines. There’s another part of me that’s rebellious and defensive, blunt and coarse, crazy and erratic. I crave it sometimes. It allows me to be detached from reality and something about that comforts me in a very distorted way. I think more than anything, it’s a defense mechanism–and I can’t explain to you how, you’d have to sit me down with a psychiatrist to figure that one out–but it happens. I feel in control when I feel like I can shut things out; or off, however I’m having to deal with it. Being unstable is the worst. I have to be in control; always. I like the other side of myself. She’s crazy and wild; too carefree. She jumps for the thrill of falling. She keeps me strong, and she steps in when I become too fragile to handle everything else that becomes too much. She picks up the dead weight with the flick of her hair while wearing leather jackets and black knee high boots. She gets her hands dirty, brushes it off, and still walks off looking as if nothing had ever touched her. Oh, she wears red lipstick too. Not the bright red kind, the blood red kind. I may be completely crazy; I understand this. I won’t apologize for what keeps me sane though. This is just the other side of me.